Nair will work be the Group CEO of Balaji Telefilms. 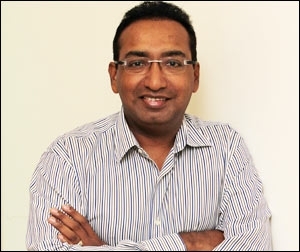 Balaji Telefilms has appointed media veteran Sameer Nair as the Group CEO. 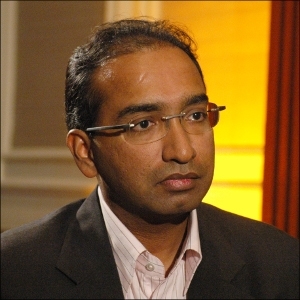 Nair was most recently the CEO of Imagine TV (formerly known as NDTV Imagine), the channel he left in May 2011. He is also a former CEO of Star India. In his role of programming chief of Star TV, Nair was responsible for revamping the network and launching the combination of Kaun Banega Crorepati and Balaji's famous K-serials on Star Plus in 2000. Says Shobha Kapoor, MD, Balaji Telefilms, "Sameer brings with him immense and diverse experience in the media and entertainment industry and an acknowledged record of content innovation and business leadership besides being an excellent resource unifier. We look forward to him further reinforcing Balaji's inherent strengths in both segments and driving the company's growth and expansion strategies to help us scale greater heights." Nair, who has closely worked with Balaji in his Star India days, says, "I look forward to working together with Ekta, Shobhaji and the team, in driving strategic initiatives, furthering the Group's vision of being regarded as an innovative entertainment powerhouse and enhancing value for all stakeholders." For the record, after quitting Imagine TV, Nair had turned entrepreneur. He partnered with a few ex-colleagues and friends, and collaborated on opportunities like One Entertainment Network (video content for online and mobile), Pride Rock Entertainment (Films) and Pride Rock Television (TV).